The classic scene in upland bird hunting has to be the dog quartering perfectly before the gunner with the bell around its neck tinkling as the dog works the cover. Bright light pierces through the forest canopy like the lights of a stage. As the dog hits the invisible thread of scent, her whole body wiggles in excitement with that unmistakable birdiness as the dog zeroes in on the source. Her choke-bore nose locates the source and her body stiffens with her nose thrust directly toward the invisible bird. The tail that once wagged like a child’s sparkler now sticks ramrod straight up. With a smile on his face, the gunner walks past his four-legged companion and kicks up a thunderous ruffed grouse, which presents an easy straightaway shot. The confident gunner smoothly mounts his gun, pulls the trigger, and the bird drops in a cloud of feathers. I like to think of such dogs and gunners as rock stars. The hunter is like Bono singing “Bullet the Blue Sky” and the dog and its work are like the Edge and the perfect riff. Unfortunately, this is not me and my Brittanies. We’re more like a garage band. Think of the Presidents of the United States performing “Lump” with their crunchy, three-stringed guitars. Let me give you a few examples of what I mean from my journal. I decided to take Misty up to the treeline to try and find Ol’ Ruff. My goal was to hunt my way over to to this sweet little, quakie-choked finger of the furthest draw on the property that I had admired earlier. I hunted through the thick timber toward the draw, and though the fall colors were stunning, we found no birds. When I reached the far draw, I crossed over on this logging road that I had never been on before. Still no birds. When I reached the far draw and it began to narrow, Misty got birdy in a small quakie thicket. I thought I heard a bird flush, but didn’t see anything. However, Misty was looking up into the trees. I went down to her and looked for the silhouette of a ruffie in the trees, but could not see anything in the sea of golden leaves. I even shook a few trees but to no avail. 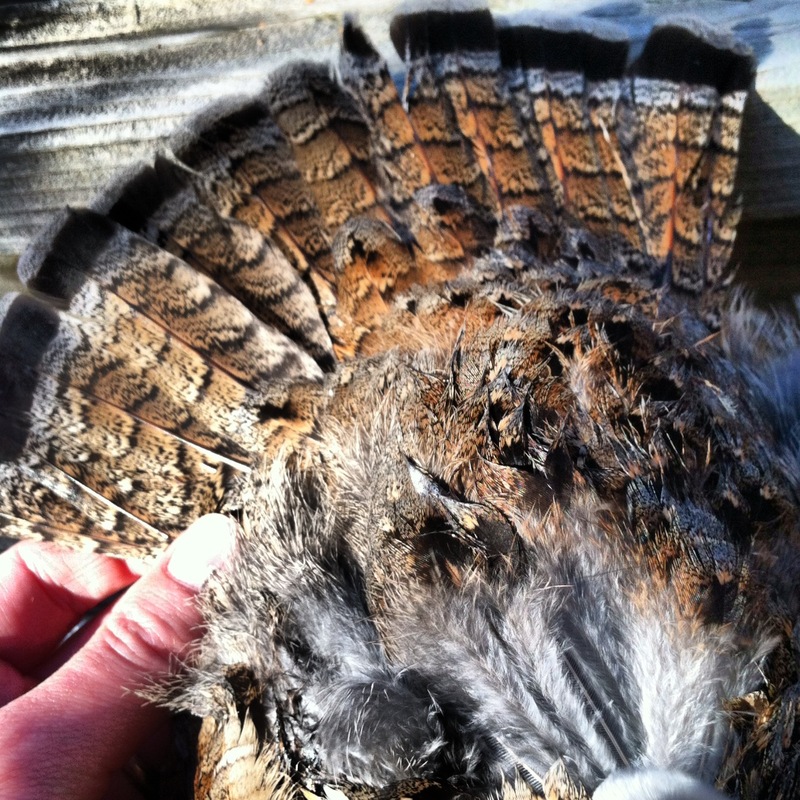 Sunny Girl points a ruffed grouse. So I stepped out of the thicket above the draw to see if I could catch a glimpse of the bird Misty was sure was there. I still couldn’t see anything and was about to leave when Misty did something I’ve never seen her do before. She had observed me shaking the trees and she then put her paws up on this small quakie and barked and shook the tree. I knew something special was happening. I walked toward her. Misty jumped up and did it again and sure enough, Ol’ Ruff blasted down hill out of that little tree. I fired at the disappearing blur and watched my shot rip through the golden canopy as I swung the gun downhill. I felt good about the shot and even told Misty to hunt dead, “Dead bird!” We searched for about five minutes, but saw no bird or any sign that I had hit it. I was very pleased with Misty’s performance despite my poor shooting. After our first few hunts, we decided to try the Outhouse Covert one final time this season. We hiked up the narrow road and right by the Outhouse, Misty bumped a grouse that I marked down. I followed its line of flight, but Misty, the turd, got to it first and bumped it again. This time, however, it flew into a tree. I tried to position myself for a good shot, but the harsh sunlight was blinding in the best location. 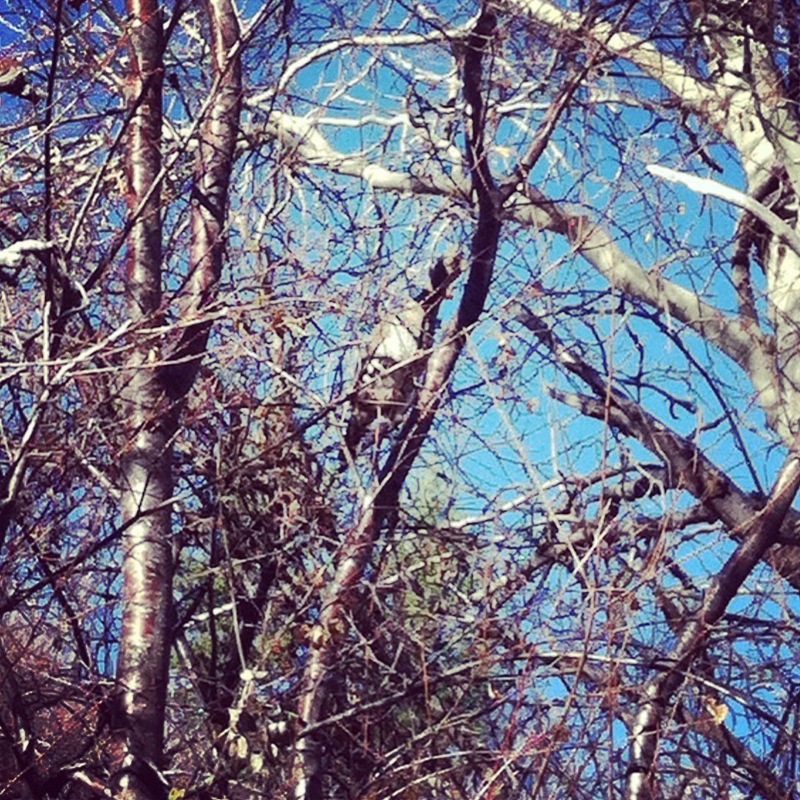 So I stood to the right of the tree and threw a few sticks to try and make the grouse fly. After the third throw, the grouse flushed hard attempting to cross the clearing over the road. I raised the gun and pulled the trigger before the gun even hit my shoulder and was sure that I had missed. But to my utter amazement, the bird cartwheeled in the air and landed in the creek. 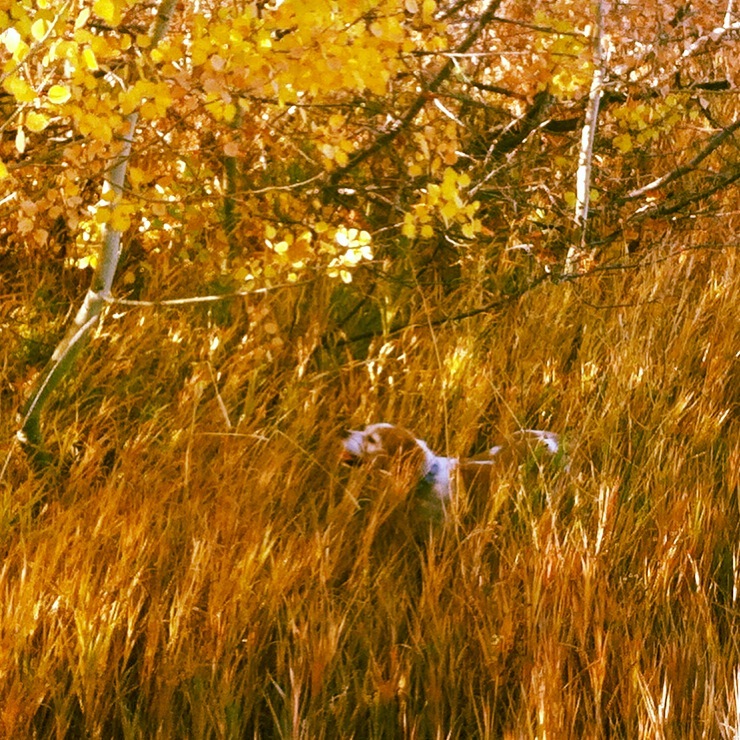 Sunny Girl made a nice retrieve of a rare, beautiful red-phased ruffie. What a crazy, lucky shot! The ruff just before he exploded from the tree. 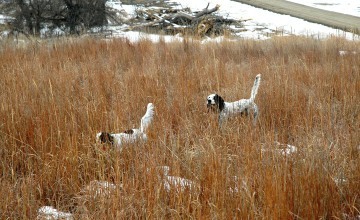 As these journal entries show, like the music of a garage band, sometimes hunting with my dogs is not pretty. However, it is usually exciting and fun. And in the midst of all that cacophony, we often find a tune where it all comes together and we get’r done. I guess we can’t all be rock stars, but that doesn’t mean we can’t still make music. A red phased ruff is rare in Idaho. Yes, I guess it’s good that I liked punk rock as a kid!